This post is part of Copyright Week held by the Electronic Frontier Foundation and other organizations in January 2014. While more commonly known as New Year’s Day, January 1 is also international Public Domain Day. It celebrates the day when creative works (such as books, images and songs) enter the public domain, which is the collective wealth of works that are not covered by copyright. Public domain works can be freely published, performed, remixed, translated and otherwise shared with the world. They can also be used to write and illustrate the largest online encyclopedia — Wikipedia. In relying on the public domain to provide free knowledge to millions of people around the world, Wikipedia illustrates the need for a growing body of freely-reusable works. Today, there is concern that ever fewer works will enter the public domain because of laws and international agreements extending copyright terms. While 2014 saw many new works enter the public domain in countries with shorter copyright terms, those works are still under copyright in the United States as a result of the Copyright Term Extension Act of 1998, which increased the term from life of the author plus 50 years to life plus 70 years. Whether they realize it or not, people rely on the public domain everyday. Millions of people use Wikipedia every day to research, check facts, browse aimlessly and even play games. Wikipedia is a collaborative project with hundreds of thousands of authors, and it relies upon a rich public domain to draw from. Some Wikipedia articles are built on text from older public domain encyclopedias. Other articles may be illustrated by public domain media. For example, when “The Great Gatsby” hit theatres last year, many people turned to Wikipedia to read about the original novel. There, through public domain photographs, they could discover the New York mansions that inspired the story, such as Beacon Towers — a house that has since been demolished. 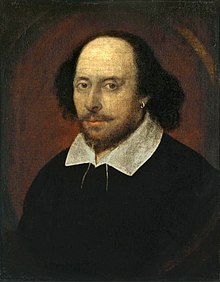 Similarly, when Wikipedia readers are researching Shakespeare, they are able to view a public domain image of his portrait from 1610 (pictured). Because both of these images are in the public domain, readers can download and reuse them in other works, like Wikipedia articles. Most images featured in Wikipedia articles are hosted on Wikimedia Commons, which is a repository of free media that is also used by newspapers, magazines and other websites. Wikimedia Commons catalogs a wealth of historical works that have entered the public domain. But it also hosts works that have not had their copyrights expire. All materials created in the past 70 years, which include most in-color photographs, have been uploaded by creators who proactively give up some of their exclusive rights in order to contribute to this collection of reusable media. Their contributions rely on free licenses and waivers developed by the free culture movement to establish a landscape of public domain-like material. One example is Creative Commons Zero, a sort of copyright waiver that content creators can affix to their works to disclaim all copyright protection attached to them, effectively contributing the works to the public domain. Another example is the Creative Commons Attribution-ShareAlike (CC-BY-SA) license, which requires re-users to re-license their derivatives under the same free license as the original work and attribute the original creator, but otherwise allows free use of the work as if it were in the public domain. Most material on Wikimedia Commons and Wikipedia is licensed under CC BY-SA. We must defend a vibrant public domain if we want collaborative projects like Wikipedia to continue to thrive. When material is removed from the public domain, it damages projects like Wikipedia and impacts Wikipedia readers and re-users at large. We are disappointed in the decision in Golan v. Holder, which removed content in the public domain by upholding the Uruguay Round Agreements Act of 1994. Given the impact of the URAA on Wikipedia, the Wikimedia Foundation joined EFF in an amicus brief challenging the URAA a few years ago. When copyright is restored in a work, the public domain suffers. The immediate result is that Wikipedia is not as rich, for removing material from the public domain means that work previously available on Wikipedia may need to be removed. The Wikipedia community does not take harmful copyright laws lightly. This week also marks the two-year anniversary of the historic moment when Wikipedians decided to black out the English Wikipedia site, joining a number of other sites protesting the SOPA and PIPA bills — and defeated them! Wikipedia is a living project that has developed over the past 13 years into a massive collaborative project used by people around the world. It may be difficult for most of us to imagine a time before so much information was freely available on the internet. The annual celebration of Public Domain Day and the anniversary of SOPA is an opportunity to reflect on how projects like Wikipedia thrive when there is a vibrant public domain and remember that we can stand up to protect the public domain when laws put it in peril. * Many thanks to the Wikimedia Legal and Community Advocacy team for their help in preparing this post and, in particular, Michelle Paulson, Dashiell Renaud, Manprit Brar, and Anna Koval. We would also like to thank the Wikimedia community for their helpful comments. URAA restored copyright in the works of foreign authors that had previously been in the public domain in the U.S. (typically, for failure to meet the former registration and notification formalities in the U.S.).